“…Milton Friedman (July 31, 1912 – November 16, 2006) was an American economist, statistician, and a recipient of the Nobel Memorial Prize in Economics. He is best known among scholars for his theoretical and empirical research, especially consumption analysis, monetary history and theory, and for his demonstration of the complexity of stabilization policy. He was an economic advisor to U.S. President Ronald Reagan. Over time, many governments practiced his restatement of a political philosophy that extolled the virtues of a free market economic system with little intervention by government. As a professor of the Chicago School of Economics, based at the University of Chicago, he had great influence in determining the research agenda of the entire profession. 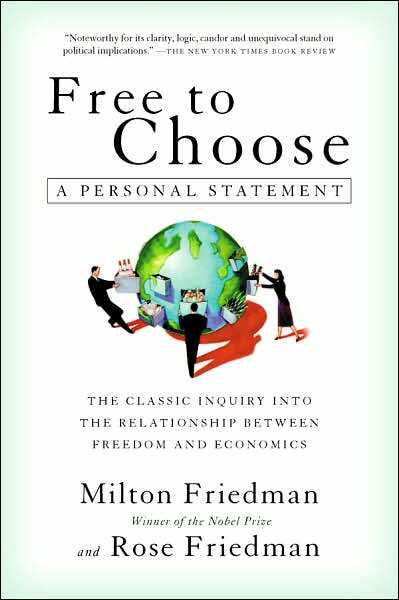 Friedman’s many monographs, books, scholarly articles, papers, magazine columns, television programs, videos and lectures cover a broad range of topics of microeconomics, macroeconomics, economic history, and public policy issues. The Economist magazine praised him as “the most influential economist of the second half of the 20th century…possibly of all of it”. Originally a Keynesian supporter of the New Deal and advocate of government intervention in the economy, during the 1950s his reinterpretation of the Keynesian consumption function challenged the basic Keynesian model. At the University of Chicago, Friedman became the main advocate for opposing Keynesianism. During the 1960s he promoted an alternative macroeconomic policy known as “monetarism”. He theorized there existed a “natural rate of unemployment” and he argued the central government could not micromanage the economy because people would realize what the government was doing and change their behavior to neutralize such policies. He rejected the Phillips Curve and predicted that Keynesian policies then existing would cause “stagflation” (high inflation and minimal growth). Friedman’s claim that monetary policy could have prevented the Great Depression was an attempt to refute the analysis of Keynes, who argued that monetary policy is ineffective during depression conditions and that fiscal policy — large-scale deficit spending by the government — is needed to decrease mass unemployment. Though opposed to the existence of the Federal Reserve, Friedman argued that, given that it does exist, a steady expansion of the money supply was the only wise policy, and he warned against efforts by a treasury or central bank to do otherwise. Influenced by his close friend George Stigler, Friedman opposed government regulation of many types. He once stated that his role in eliminating U.S. conscription was his proudest accomplishment, and his support for school choice led him to found The Friedman Foundation for Educational Choice. 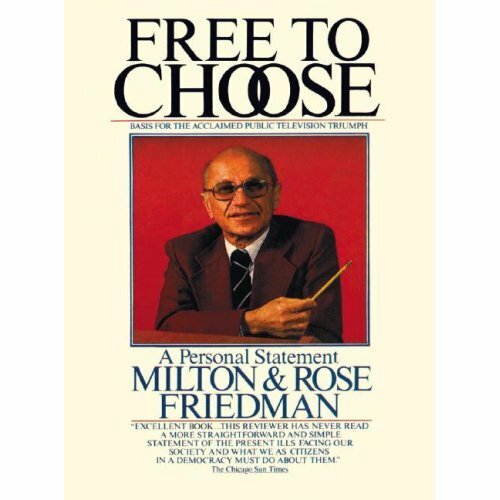 Friedman’s political philosophy, which he considered classically liberal and libertarian, emphasized the advantages of free market economics and the disadvantages of government intervention and regulation, strongly influencing the opinions of American conservatives and libertarians. In his 1962 book Capitalism and Freedom, Friedman advocated policies such as a volunteer military, freely floating exchange rates, abolition of licensing of doctors, a negative income tax, and education vouchers. His books and essays were well read and were even circulated illegally in Communist countries. Friedman’s methodological innovations held wide acceptance among economists, but some considered his policy prescriptions controversial. Most economists during the 1960s rejected them, but since then they have had an increasing international influence (especially in the USA and Britain). Some of his laissez-faire ideas concerning monetary policy, taxation, privatization and deregulation were used by governments, especially during the 1980s. His monetary theory has had a large influence on economists such as Ben Bernanke and the Federal Reserve’s response to the financial crisis of 2007-2010. Government spending and economic controls. Milton Friedman won the Nobel Memorial Prize in Economics in 1976. Contrary to normal practice the book was written after the TV series was produced, although the line “Basis for the acclaimed public television triumph” is written on the front cover, using the program transcripts as reference. The book was on the United States best sellers list for 5 weeks. PBS telecast the series, beginning in January 1980; the general format was that of Dr. Friedman visiting and narrating a number of success and failure stories in history, which Dr. Friedman attributes to capitalism or the lack thereof (e.g. Hong Kong is commended for its free markets, while India is excoriated for relying on centralized planning especially for its protection of its traditional textile industry). Following the primary show, Dr. Friedman would engage in discussion with a number of selected persons, such as Donald Rumsfeld (then of G.D. Searle & Company). The series was rebroadcast in 1990 with Linda Chavez moderating the episodes. Arnold Schwarzenegger, Ronald Reagan, Steve Allen and others give personal introductions for each episode in the series. This time, after the documentary part, Friedman sits down with a single opponent to debate the issues raised in the episode. The Racist Test for Judge Sonya Sotomayor and President Obama–Racism Unmasked! The Cloward-Piven Strategy Of The Progressive Radical Socialists: Wrecking The U.S. Economy By Massive Government Dependence, Spending, Deficits, Debts, Taxes And Regulations! President Barack Obama’s Role Model–President Franklin D. Roosevelt–The Worse President For The U.S. and World Economies and The American People–With The Same Results–High Unemployment Rates–Over 25 Million American Citizens Seeking Full Time Jobs Today–Worse Than The Over 13 Million Seeking Jobs During The Worse of The Great Depression! Progressive Radical Socialist Health Care Plan Written In Prison By Convicted Felon Richard Creamer! The Obama Depression: Lessons Learned–Deja Vu! Broom Budget Busting Bums: Replace The Entire Congress–Tea Party Express and Patriots–United We Stand! Obama’s Civilian National Security Force–Youth Corp Wave–Friendly Fascism Faces–Cons–Crooks–Communists–Communities–Corps! Obama Youth–Civilian National Security Force–National Socialism–Hitler Youth–Brownshirts– Redux?–Collectivism! American Progressive Liberal Fascism–The Wave of The Future Or Back To Past Mistakes? President Obama–Killer of The American Dream and Market Capitalism–Stop The Radical Socialists Before They Kill You! It Is Official–America On The Obama Road To Fascism–Thomas Sowell! Schiff, Forbers and Bloomberg Nail The Financial Crisis and Recession–Mistakes Were Made–Greed, Arrogance, Stupidity–Three Chinese Curses!